The PSP Hydro project, carried out in the framework of the Energising Development (EnDev) Rwanda Program, aims to provide access to electricity. The Program provides “viability gap financing” and technical assistance for small and medium-sized businesses to install and operate micro hydropower plants. 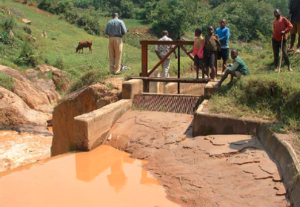 The first three privately owned micro-hydro power plants in Rwanda (96 kW, 500 kW and 438kW) have been connected to the national electricity grid. Three more power plants (Kavumu, Mashyiga, and Muhembe) are in the pipeline. II) Thorough revision of 1) “design criteria for quality and safety” and 2) “commissioning checklist”, both for PV and micro hydro isolated village grids. Crosschecking and review of technical design studies of the micro hydro power plants financed by PSP Hydro, recommendations for improvements; assessment and evaluation of financial and economic studies / cost estimates. In-depth revision of the documents: a) “crucial design criteria to ensure quality and safety” and b) “commissioning checklist” for both technologies namely micro hydro and PV schemes for village grids in Rwanda. Preparation of an additional “performance check guideline” for mini and small hydropower systems. Input to specific questions of the PSP Hydro team. Results: Increased professionalism in feasibility and design studies to guarantee proper implementation and sustainable operation and management of the RE systems.